Rotary Club of Pune Riverside invited Dr Vikas Joshi for addressing Rotarians at their membership meeting. Dr Joshi accepted the invitation and spoke about Five Mantras for Learning and Renewal. “When we complain of monotony or boredom in our professional or personal lives, it is usually a sign that we are not learning new things. This happens not because learning opportunities don’t exist, but because we miss them”, Vikas said during his talk. Vikas then shared several stories from his life and invited participants to draw out the underlying mantras: openness to serendipitous learning, gaining insights through reflection on events, learning from younger people, learning as participation, and shaping oneself according to the situation. He assured the participants that with these mantras, they can be sure not to miss learning and enjoy renewal. 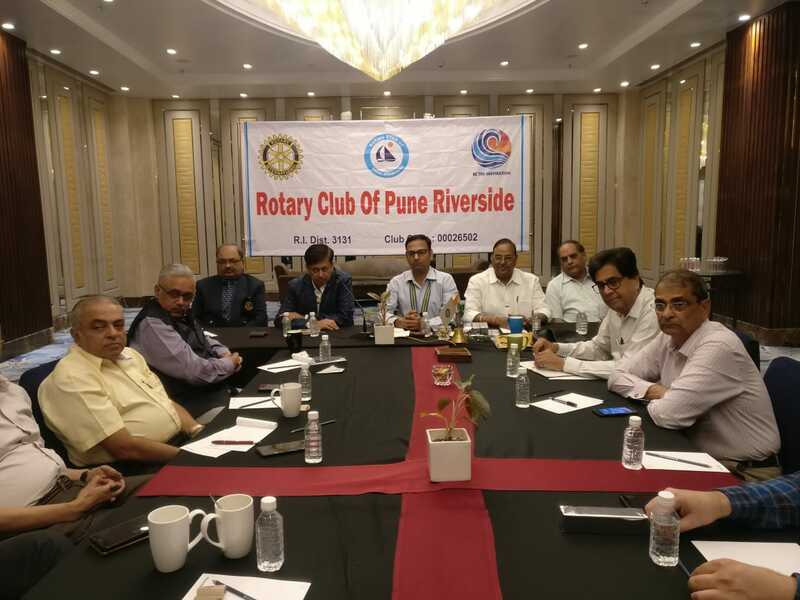 Rotary Club of Pune Riverside is a 30-year-old breakfast club with members who come from various fields such as entrepreneurship, education, accounting, business, industry, export, and so forth.